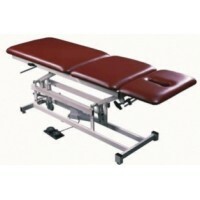 Treatment Tables There are	162 products. 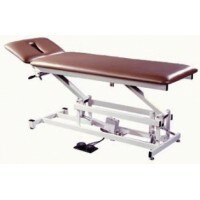 Therapeutically designed Treatment Tables make your office exams and treatment procedures a more pleasant experience for you and your patients. 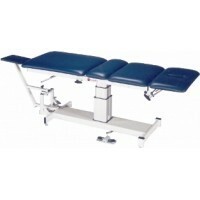 Treatment tables are an integral part of the medical profession - without them, accidents can happen. According to Reuters news agencies, the Red Cross begged for more treatment tables after the Sichuan, China earthquake. 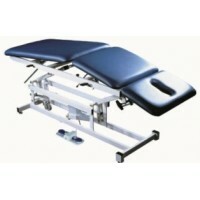 Victims of the quake had to make-do with wobbly tables for their vast medical needs. Medical professionals all over the world realize that they're an important part of the treatment process. 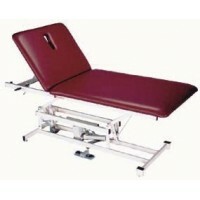 Bariatric Tables are designed to guarantee the comfort of your patient while providing a high quality of design you need. 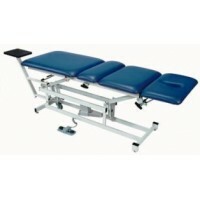 You'll want to select a Bariatric Table that will accommodate your obese or overweight patients - making them feel safe and at ease during the exam and diagnosis process. 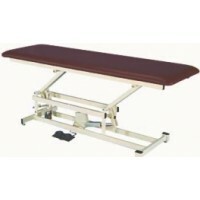 You'll be able to easily lift patients with properly designed Hi Lo Tables. 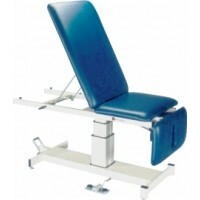 These treatment tables can be set to a variety of heights for lifting your patients safely and quietly. 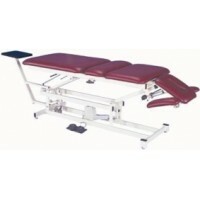 All types of physical therapy - including massage, occupational and therapeutic, can be accomplished with these powerful tools. 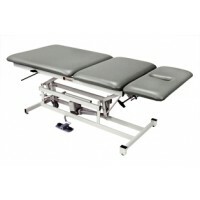 Invest in Mat Tables and accessories to offer the best treatment for your patients. 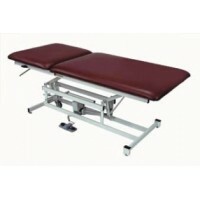 Mat tables are used for a variety of treatments and designed to be comfortable, stationary and safe. 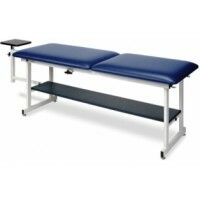 The most frequent uses for mat tables are exercise, treatment and stretching, but there are many more uses for these versatile products. 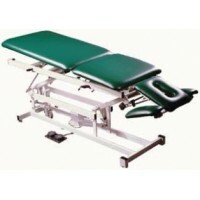 Treatment tables for infants and children come in a variety of shapes and sizes. Pediatric Tables are colorful, yet flexible enough to meet every need. Children scheduled for exams or treatments will automatically relax when they see the vibrant characters and designs. 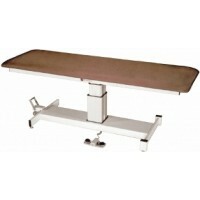 Accessories such as bolsters and mats should be part of the stock in your clinic. 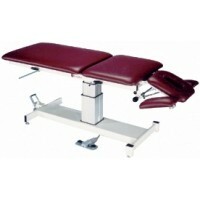 Items like adjustable headrests add to your patients' comfort and most can be tilted to any angle. 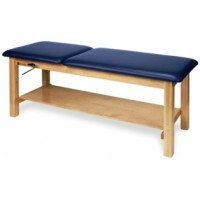 Therapy Tables and desks hold literature and store items in drawers while providing a treatment area. 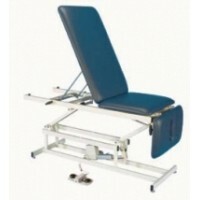 Tilt Tables are available in many designs and sizes and are an integral part of properly treating your patients. 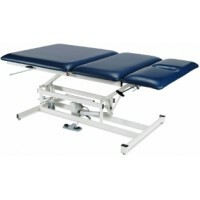 Some treatment tables can be adjusted from horizontal to vertical and are wheelchair accessible. 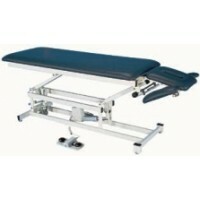 Purchasing the proper Traction Tables is an astute investment for your medical practice. 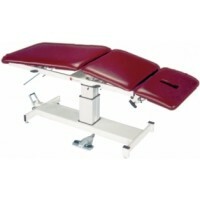 Your patients will relax if they're lying on a comfortable table - and you can provide better treatment. 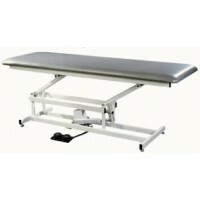 Traction Tables come with adjustable height capability and many accessories that you can add to your clinic. 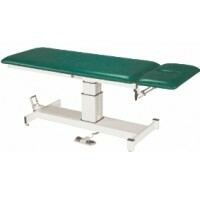 Wood and Metal Tables are treatment tables designed for specific needs. 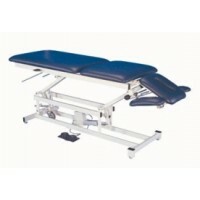 An adjustable back rest and knee gatch table can minimize the effect of gravity and lets you position knees to any position you deem necessary. 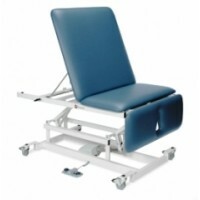 A straight line plinth lets you adjust the backrest for the comfort of a patient.